MOPAR® Parts & Accessories are solely designed for Alfa Romeo, Chrysler, Dodge, Fiat, Jeep, Ram and SRT vehicles to guarantee the highest levels of performance and come with a 1 year / 20,000 km warranty. Filters according to their application offer various types of protection: they ensure the health of driver and passengers, that of the engine or that of the surrounding environment. Enhance your vehicle with hundreds or MOPAR® accessories to reflect your personality and make driving fun. Your Alfa Romeo, Chrysler, Dodge, Fiat, Jeep, Ram or SRT vehicle is already an impressive machine. The battery is an energy store needed to start the engine and power onboard accessories when more energy than that generated by the alternator is needed. Shock absorbers dampens the roughness of the road and vibrations, as well as constantly keeping the wheel contact with the ground in all travelling conditions. 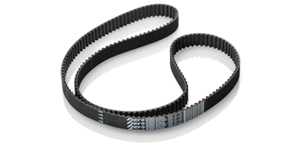 The timing belt is the mechanism that connects the camshaft to the engine to optimise valve and piston synchronisation. More than 500,000 genuine spare parts for over 70 million cars worldwide: the Mopar® spare part catalogue satisfies millions of customers across Europe. For all drivers who have chosen a vehicle made by FCA Italy S.p.A., Mopar® offers Classic Line, the spare part range for vehicles over five years old. Classic Line is the range of spare parts distributed by Mopar® that guarantee performance and safety at a very advantageous price. Classic Line is not a special promotion and will not expire: it is the new opportunity that Mopar® is offering customers who have chosen a FCA Group vehicle.